Hello, we are DIA+(Dai-A Plus). 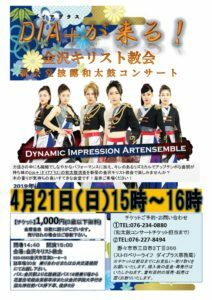 We are an all woman taiko ensemble from Ishikawa Japan. Our name comes from who we, as a group, strive to be; a Dynamic Impression Art ensemble and more. 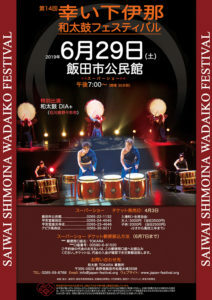 Our music style is a fusion of both traditional and modern taiko drumming rhythms. Our taiko performance is best appreciated in a live setting which allows the listener to literally feel the power of our drumming. 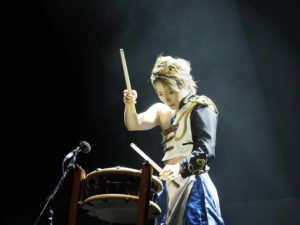 In addition to performing live concerts, we also offer drumming workshops and private taiko lessons to the general public. Please feel free to contact us or ask any questions, as we are very eager to share our passion for taiko drumming with you!